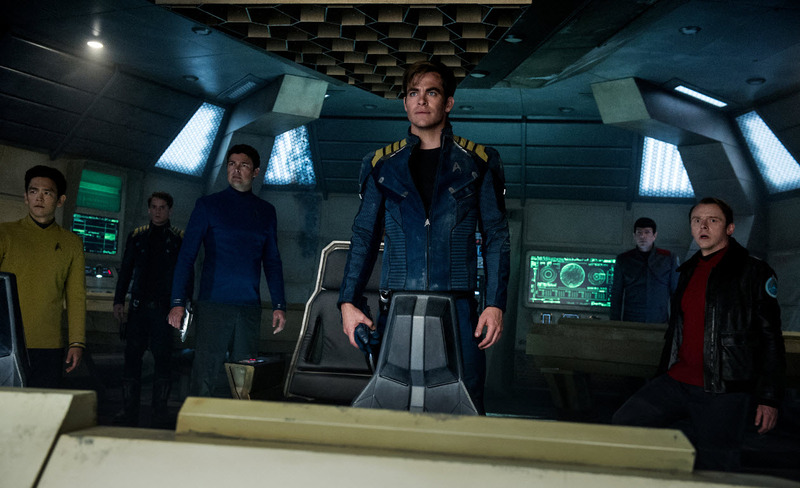 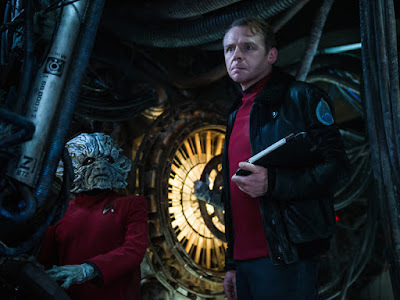 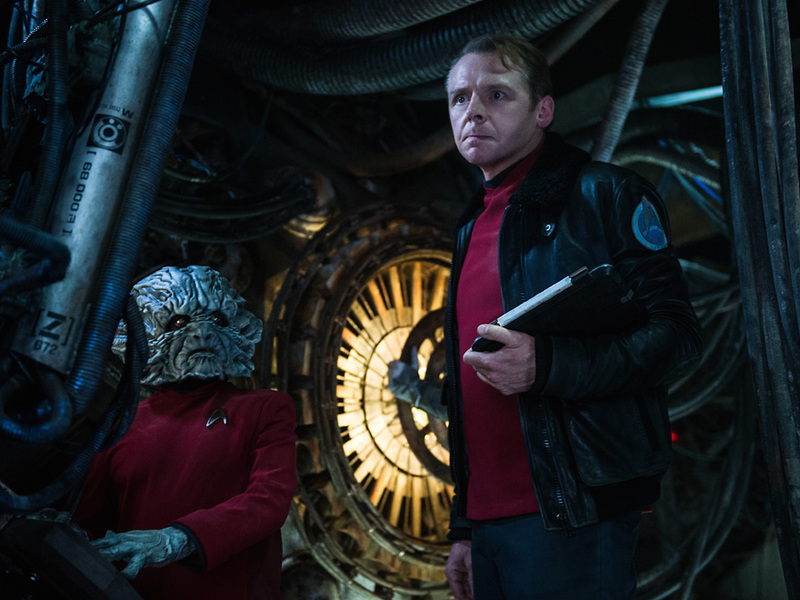 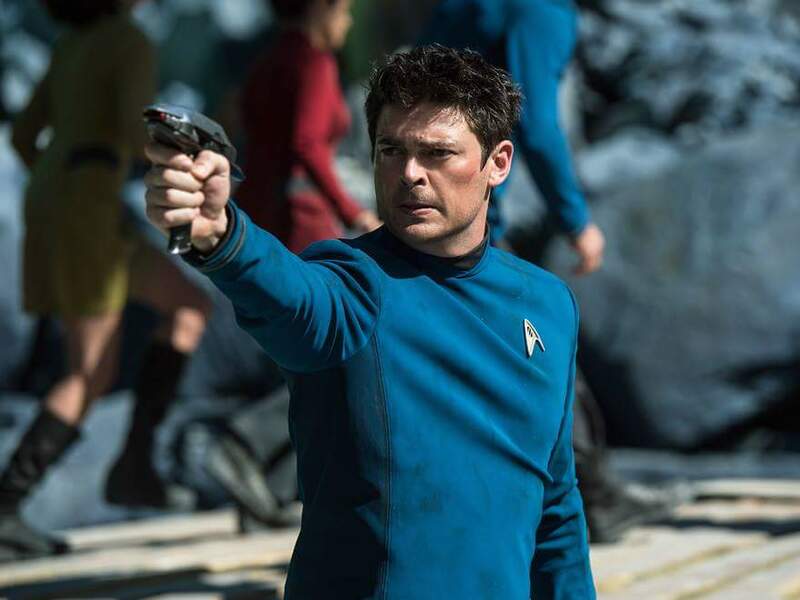 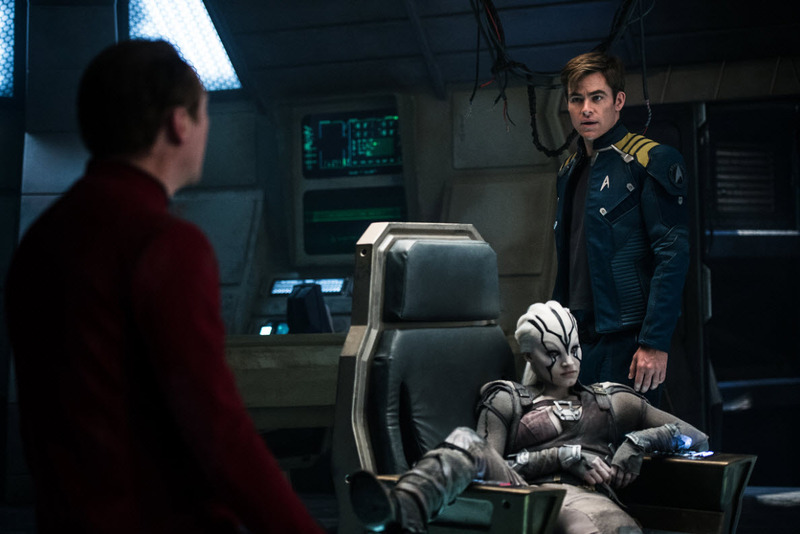 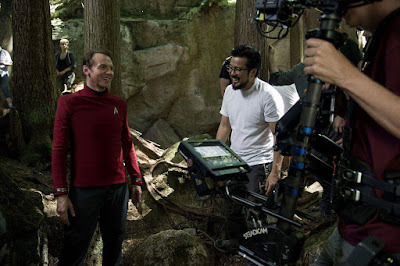 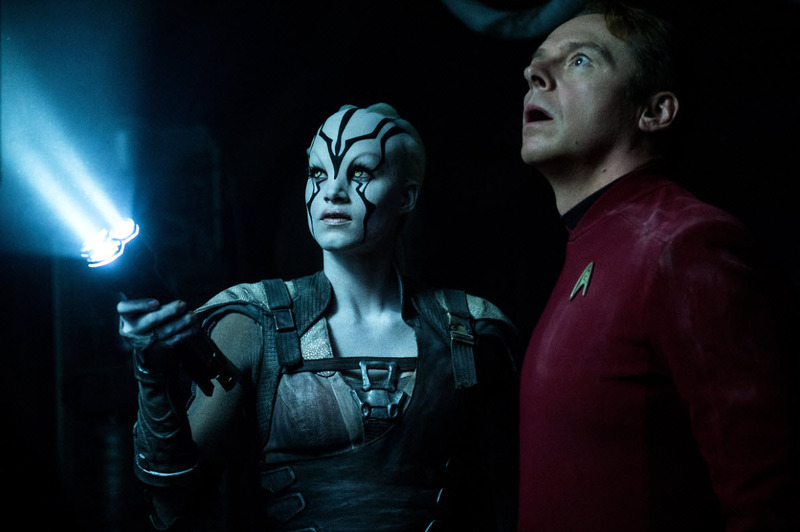 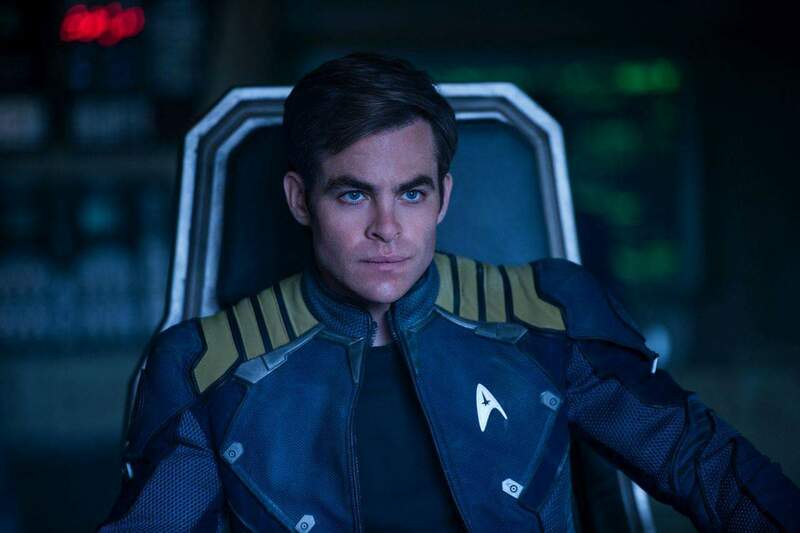 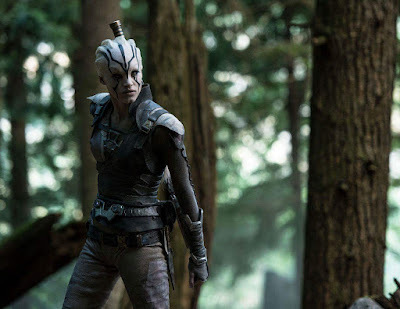 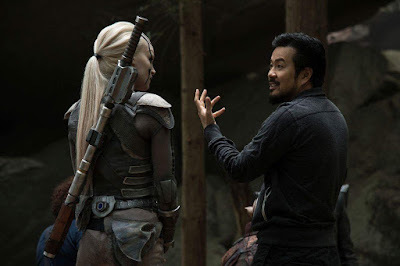 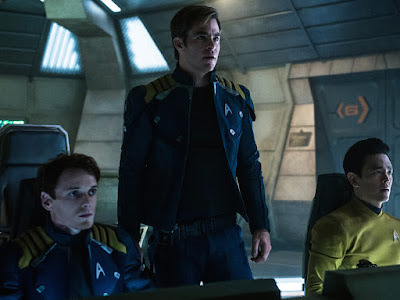 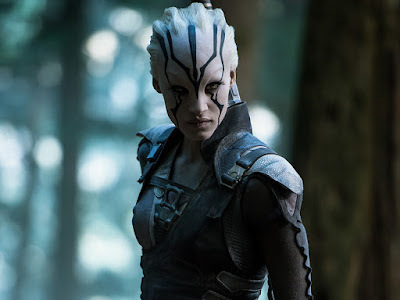 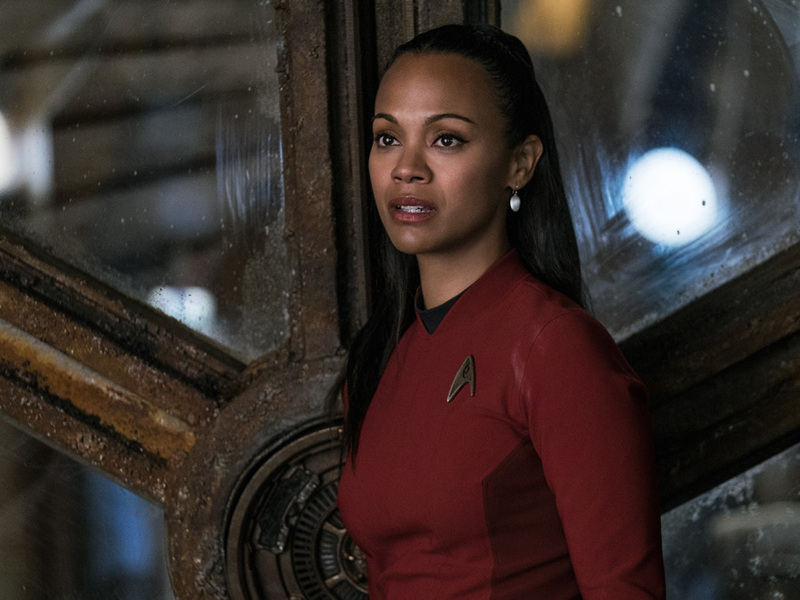 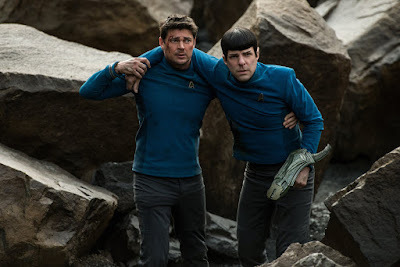 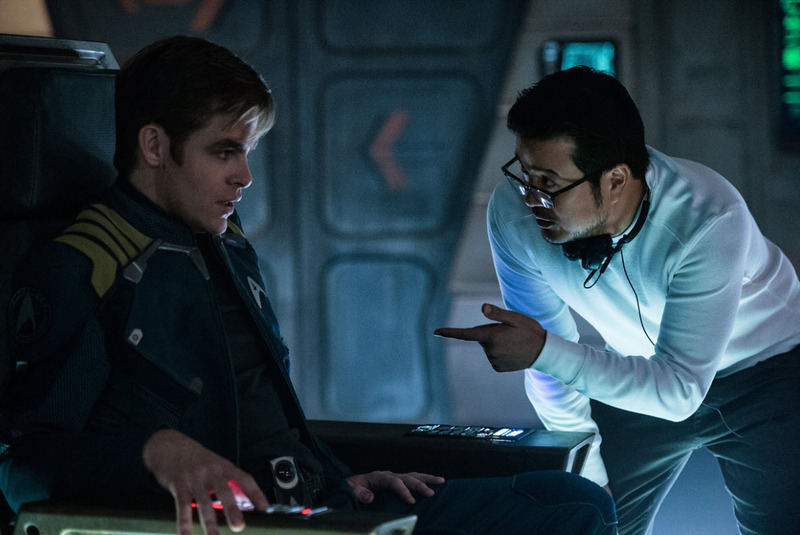 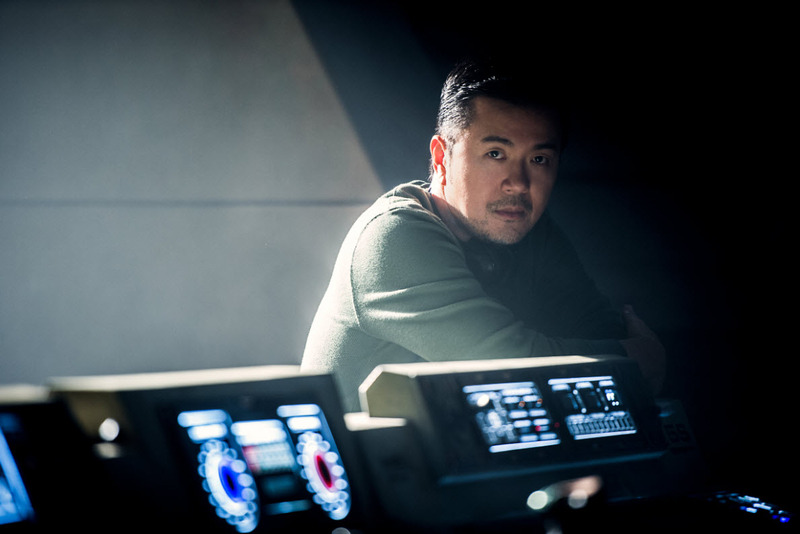 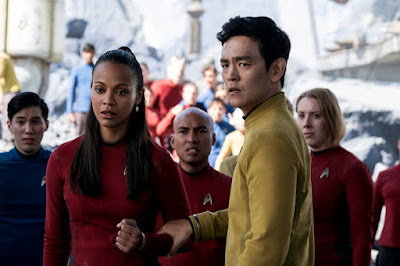 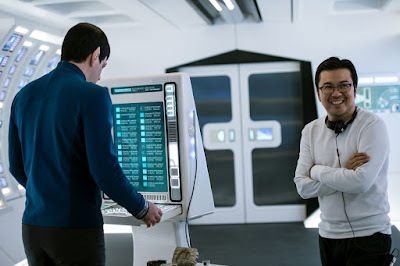 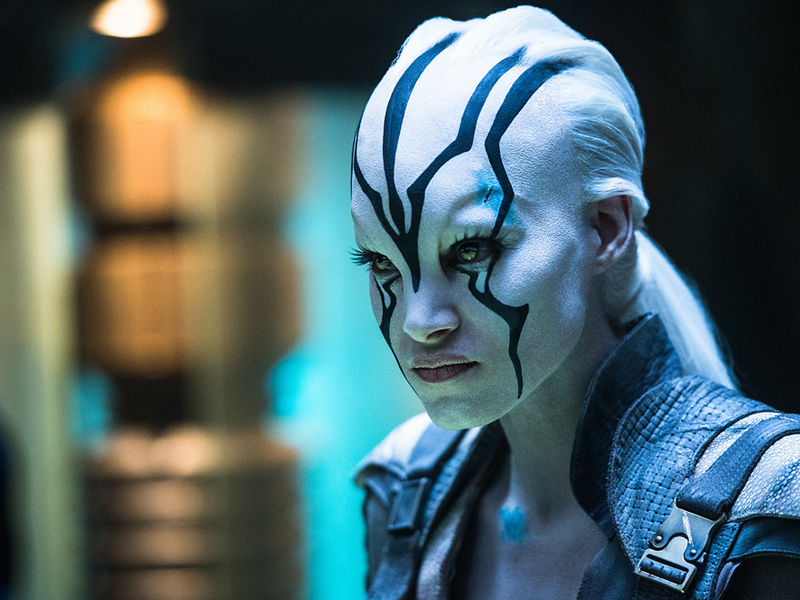 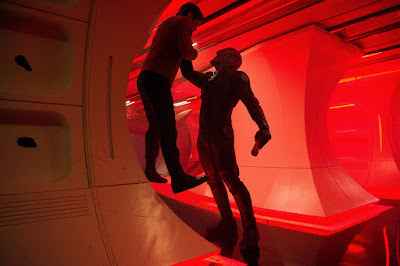 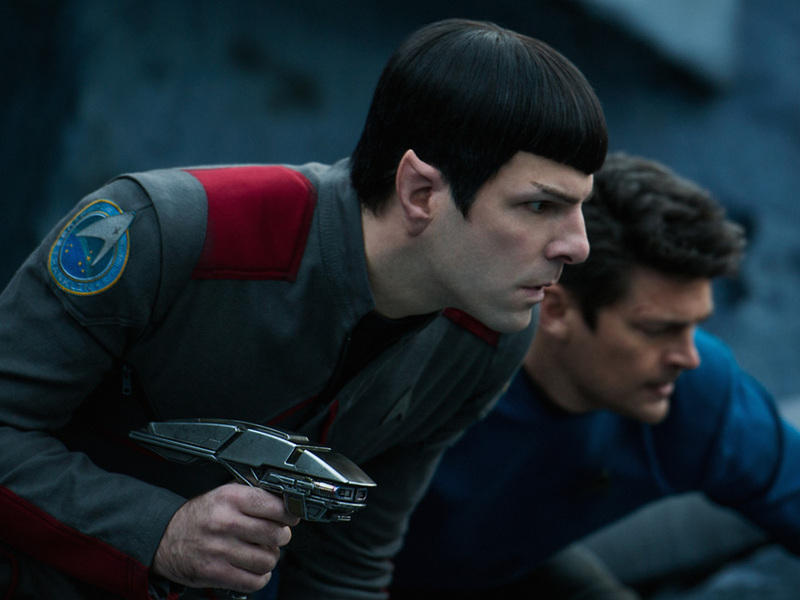 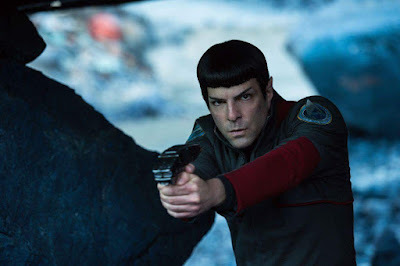 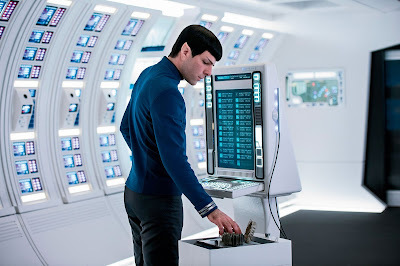 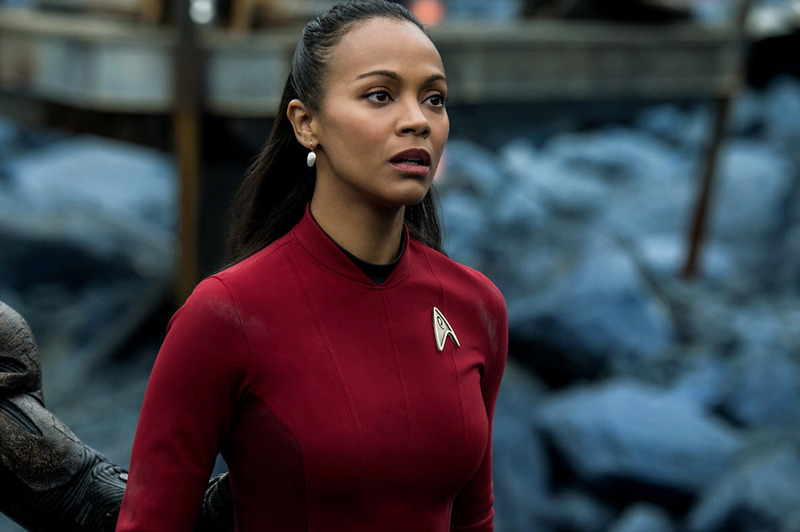 Presented below is a collection of images, including some behind the scenes views, from the 13th Star Trek feature film, "Star Trek Beyond", directed by Justin Lin and starring Chris Pine, Zachary Quinto and Karl Urban. 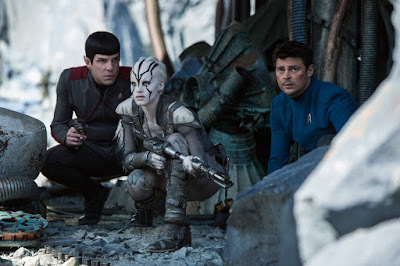 The highly anticipated motion picture is set to launch into theaters across North America in just 8 days on July 22, 2016. 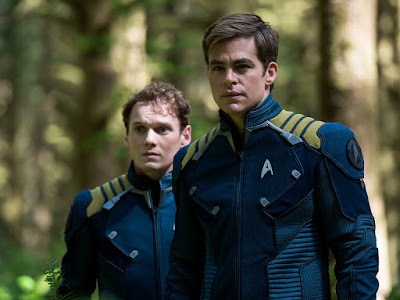 The movie will be dedicated to the memory of the talented actor Anton Yelchin, who portrayed the character of Pavel Chekov in this production as well as the first two J.J. Abrams Star Trek reboot films, and who tragically passed away far too young at the age of just 27 on June 19th in a freak automobile accident. On Friday, July 1, 2016, Gen. John R. Dailey, the Director of the Smithsonian's National Air and Space Museum in Washington, D.C. presided over ceremonies that celebrated both the 40th anniversary of the opening of the building in 1976 as well as the official public re-opening of the Boeing Milestones of Flight Hall. 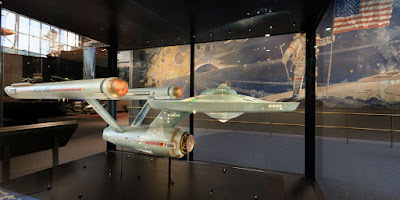 A wonderful component of the Flight Hall re-opening for all Star Trek fans worldwide was the return to public display of the cherished 11 foot Original Series U.S.S. 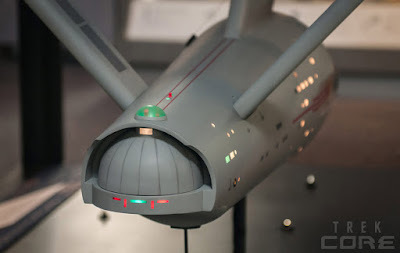 Enterprise filming miniature; which has been the subject of an extensive, highly sophisticated, almost 2 year long restoration effort that has spectacularly succeeded in returning the model to it's late 60's in-studio, original filming state - and has ensured that this national treasure will survive for the enjoyment of future generations. The Enterprise model now occupies a place of honor alongside such historic craft as the Wright Brothers' Flyer; Charles Lindbergh's Spirit of St. Louis; Chuck Yeager's Bell X-1 aircraft; John Glenn's Mercury Friendship 7 capsule; an Apollo Lunar Module, LM-2; and the Apollo 11 command module Columbia within the 19,000 square foot, fully renovated Flight Hall - the major redesign of which was enabled through a generous $30 million gift from The Boeing Company. 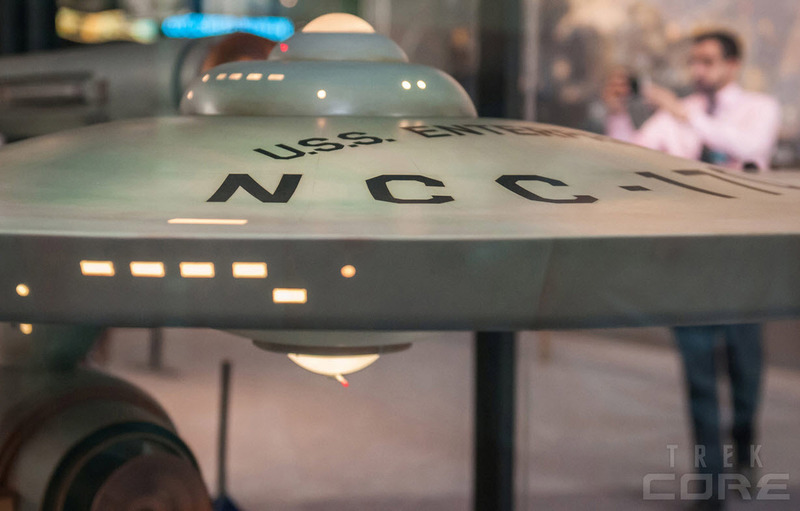 It is truly fitting that the restored U.S.S. Enterprise miniature has been returned to public display during 2016 - the 50th anniversary year of the franchise itself - as we are just over two months away from celebrating the historic broadcast of the 1st televised Star Trek episode, "The Man Trap", which aired on September 8, 1966. 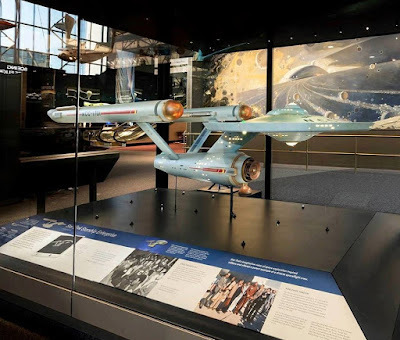 The starship model is now exhibited in a special, climate controlled display case and appears in front of a beautiful, Robert McCall space mural which serves as a stunning backdrop. 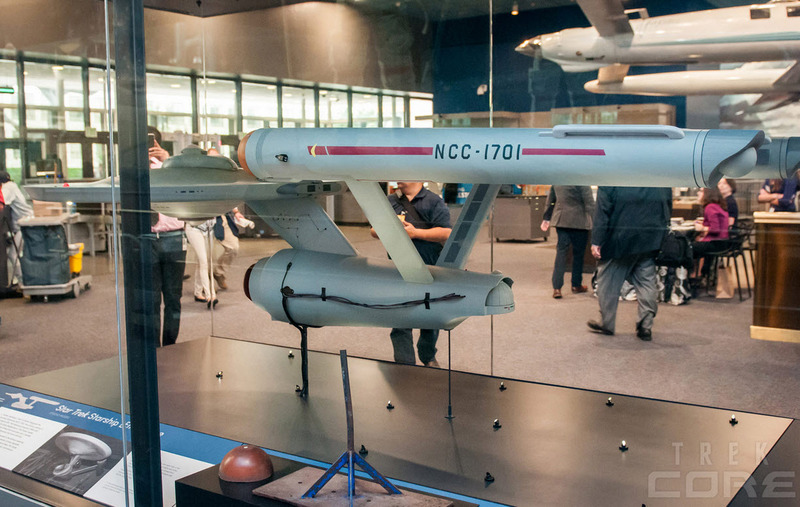 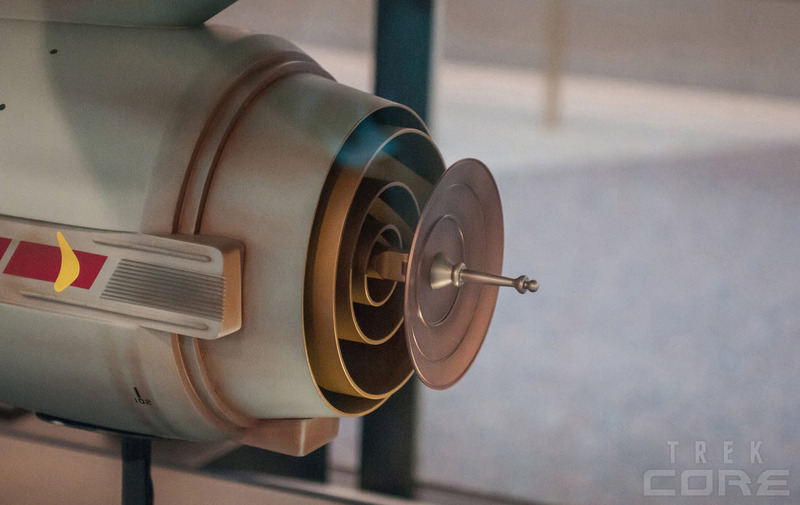 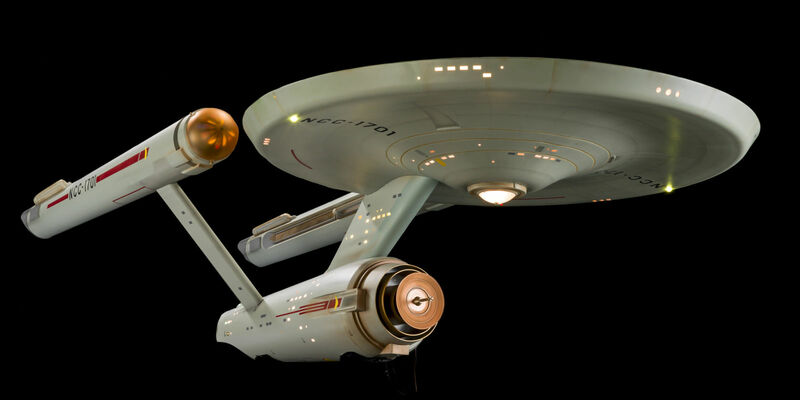 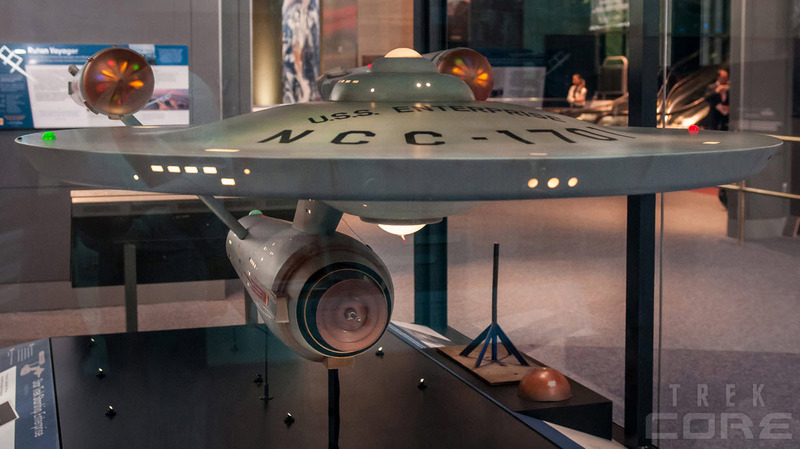 Below are some images of the restored model, courtesy of the Smithsonian NASM and photographer Kelly M. Phillips in association with Trekcore.com. 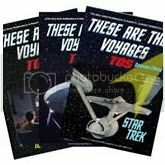 Readers are encouraged to visit http://tos.trekcore.com/gallery/thumbnails.php?album=132 to view the complete gallery of 37 detailed images taken by Kelly Phillips during a special press preview of the exhibition hall that was held on June 28, 2016. 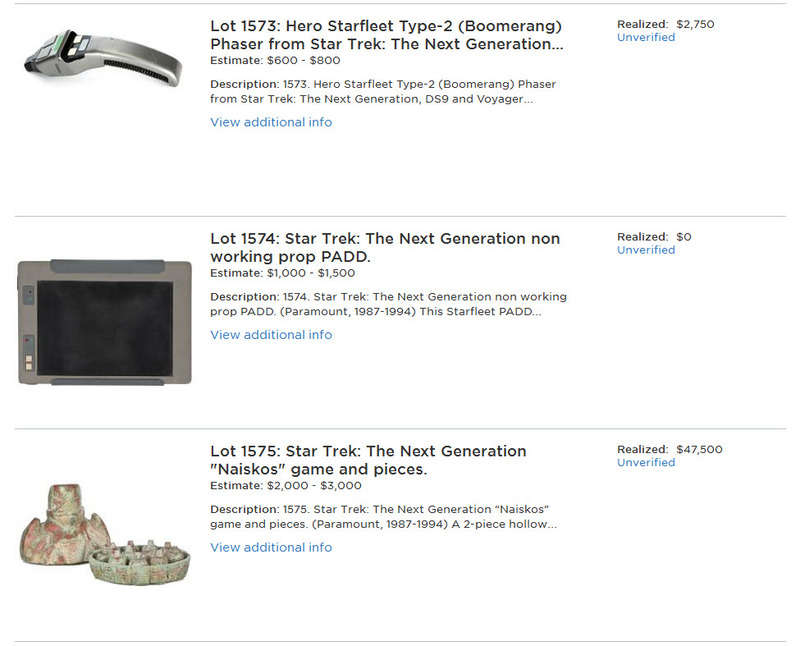 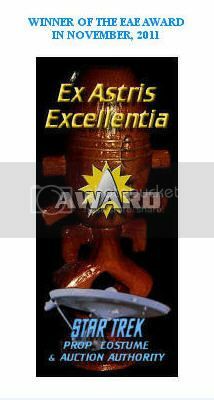 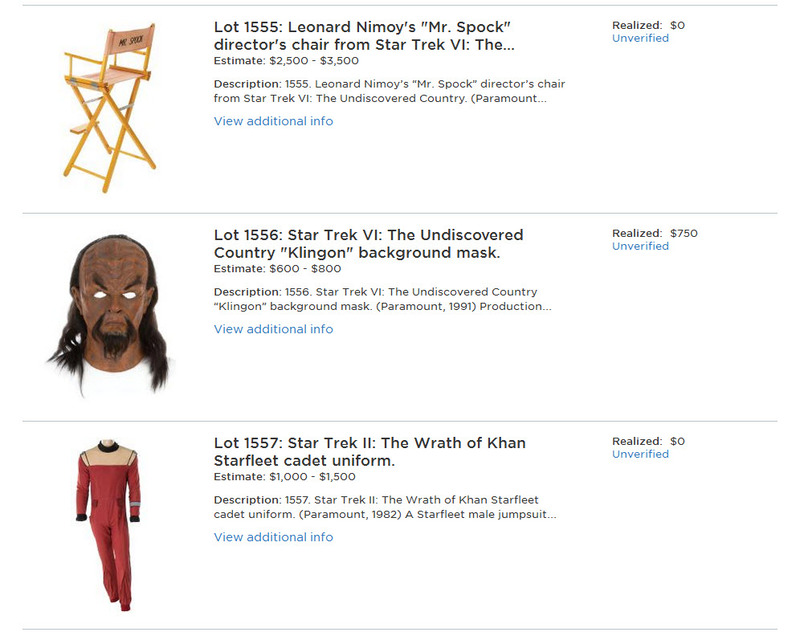 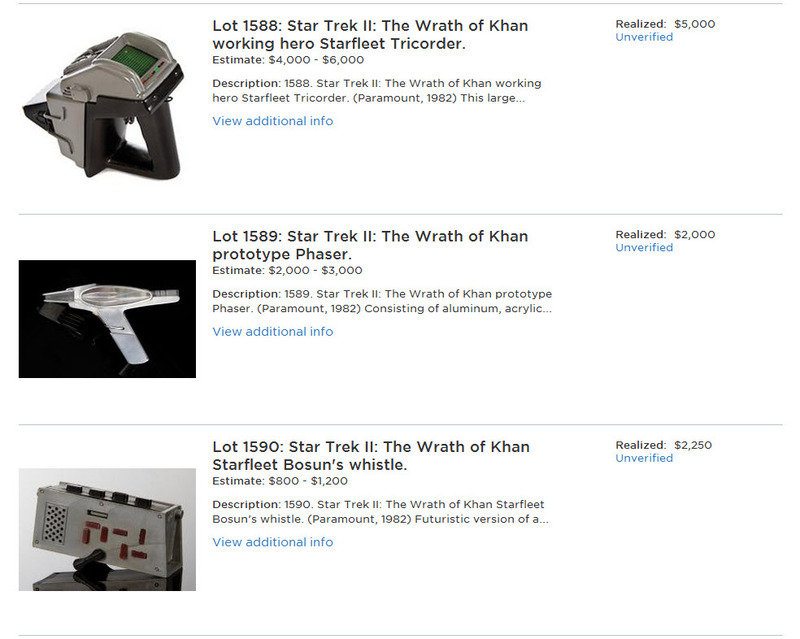 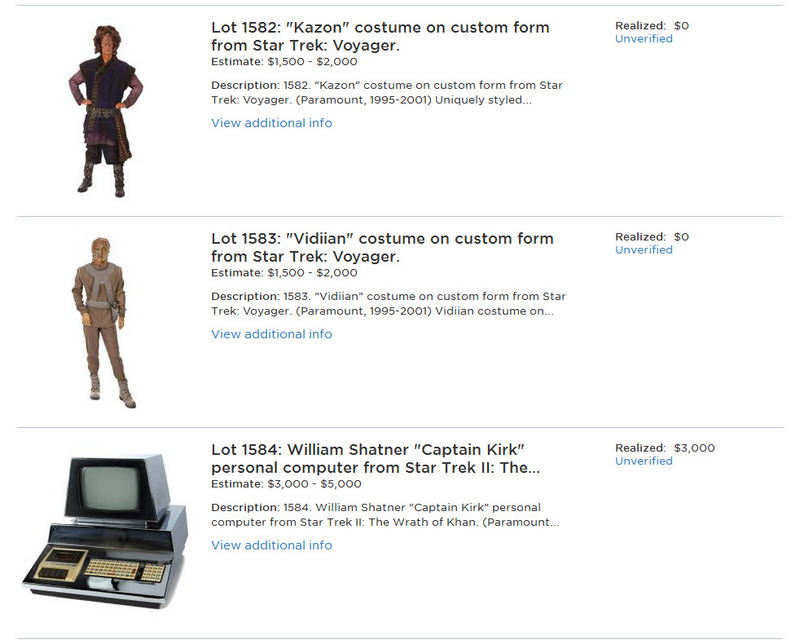 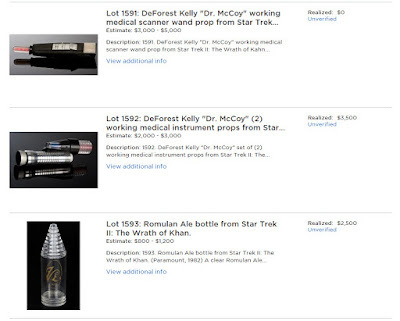 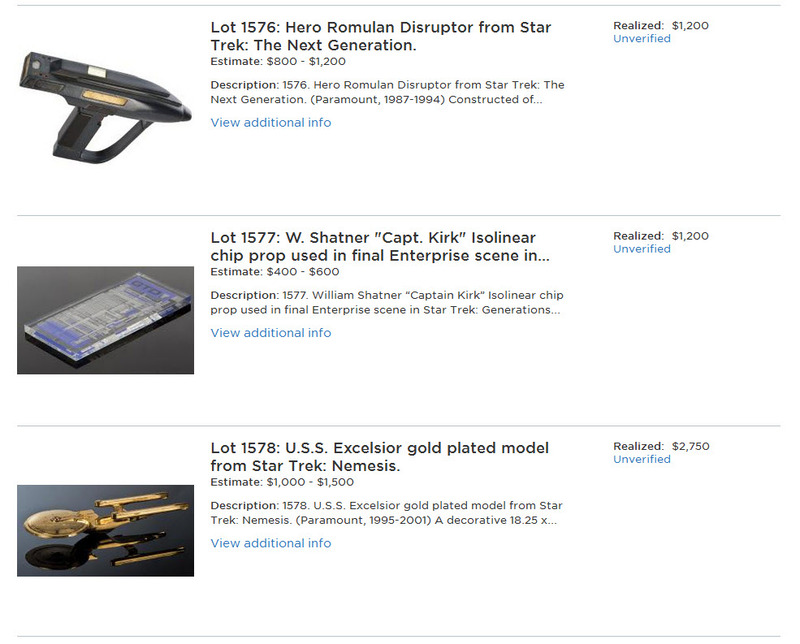 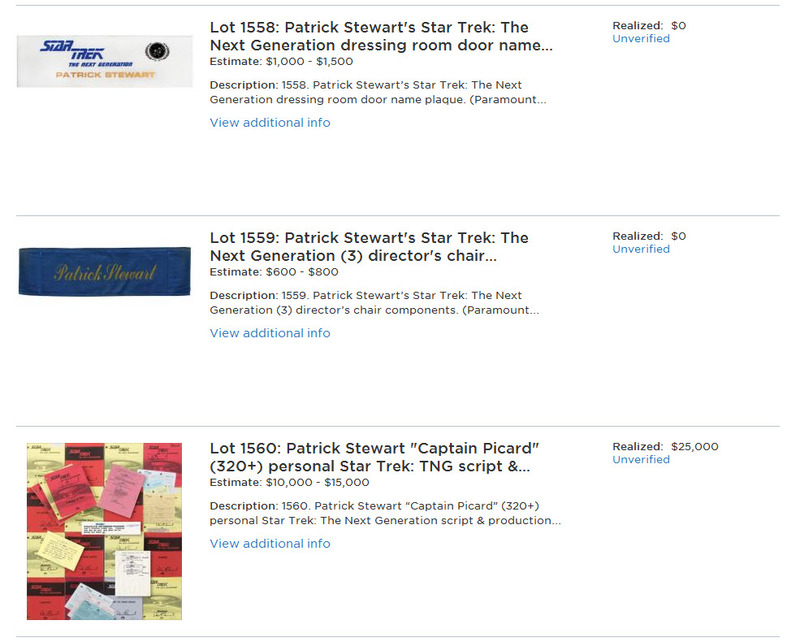 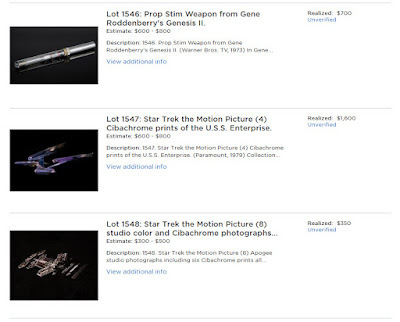 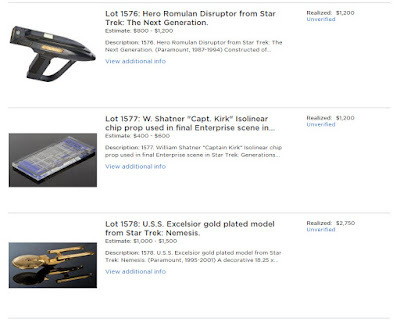 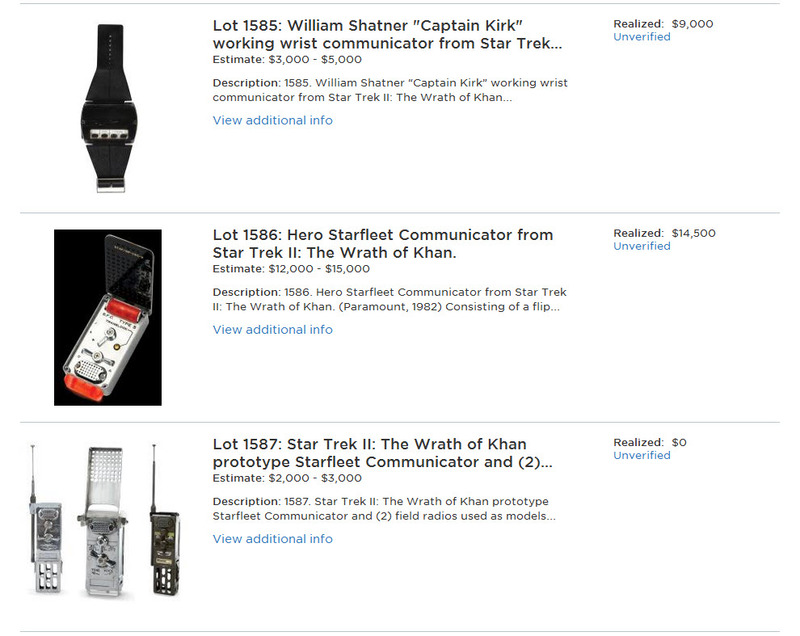 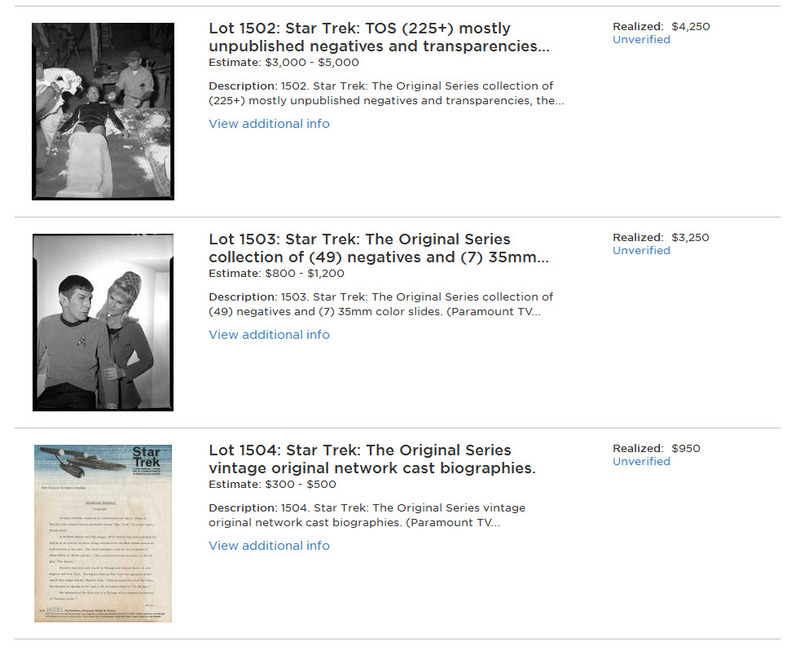 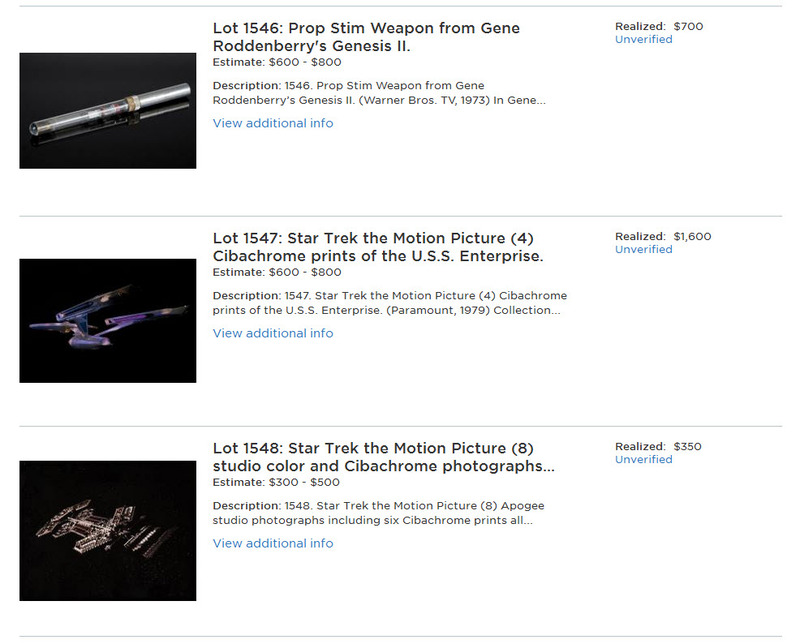 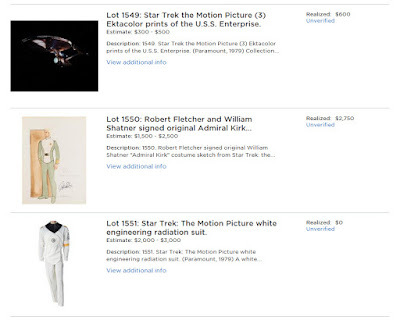 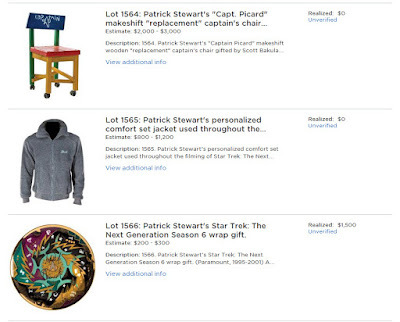 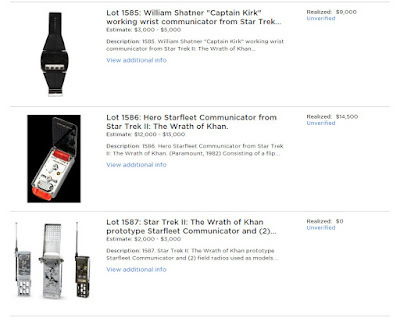 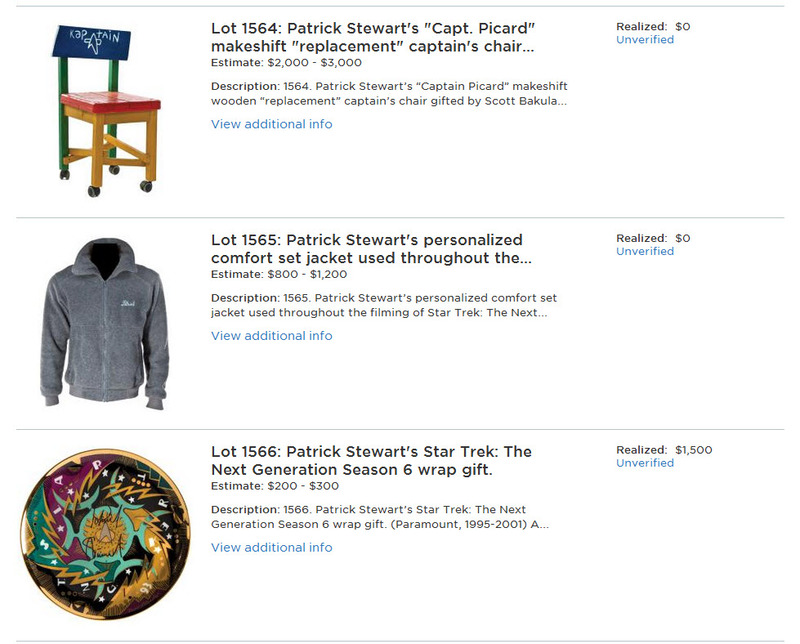 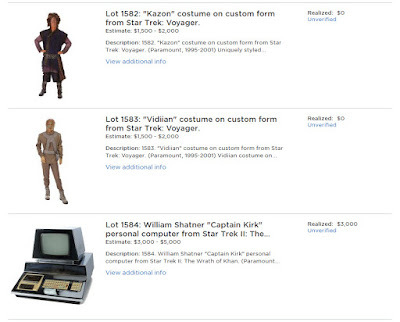 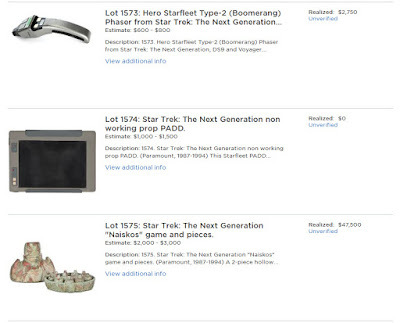 Presented below is the complete set of final prices realized for the 99 lots of Star Trek memorabilia that were offered in Profiles In History's Hollywood Auction 83; which concluded on Friday, July 1st in a live online bidding session at invaluable.com. 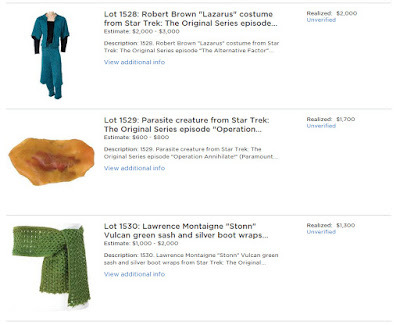 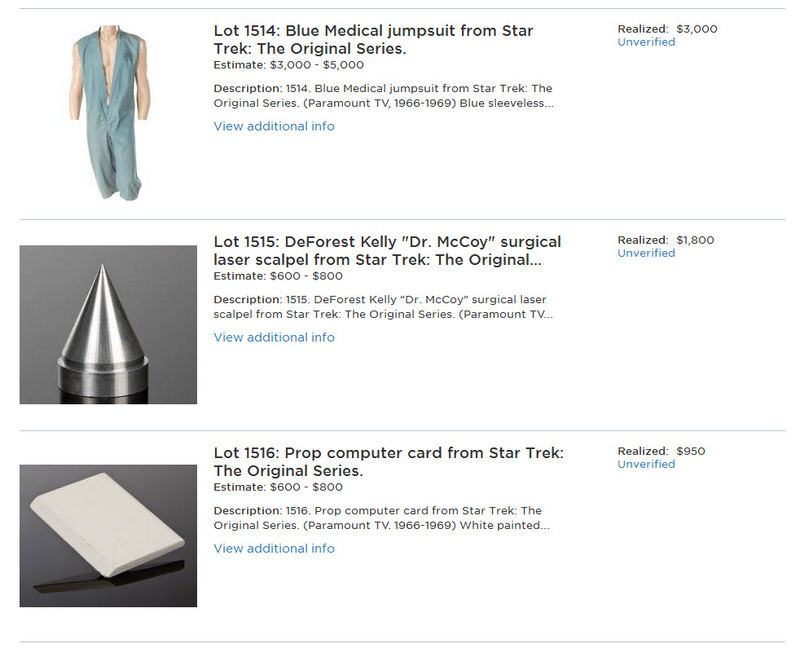 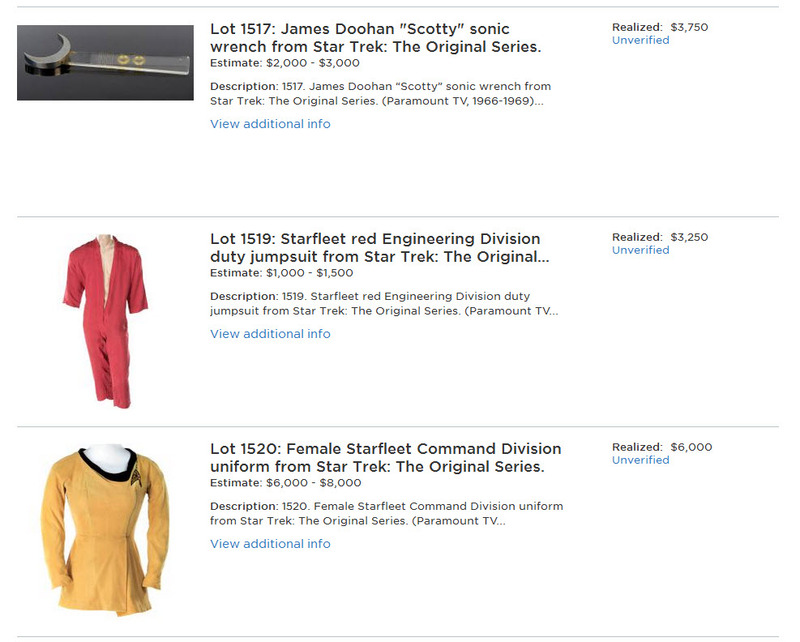 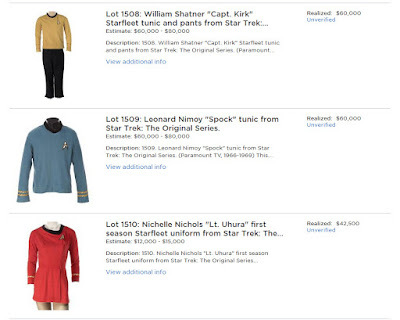 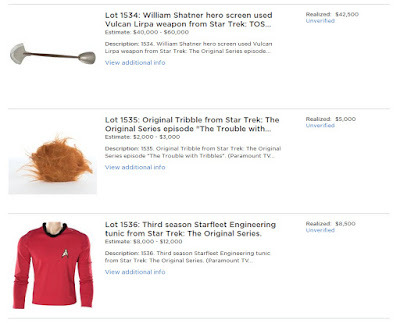 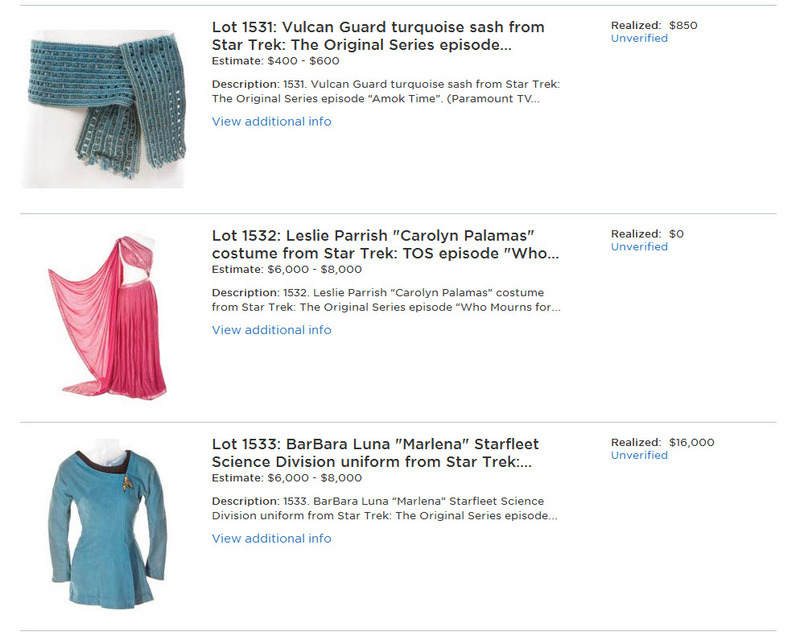 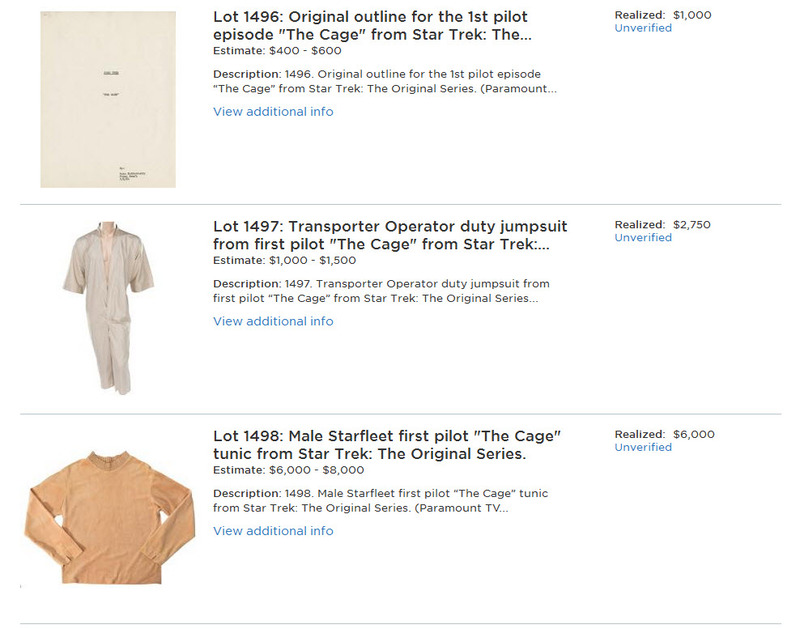 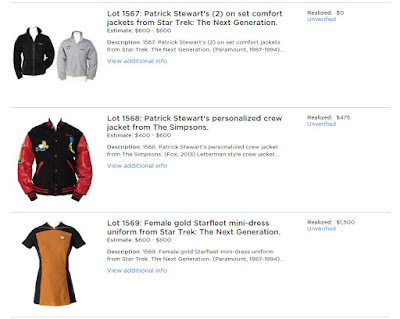 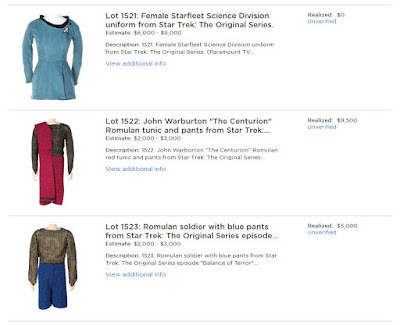 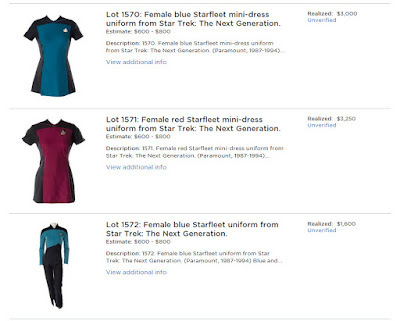 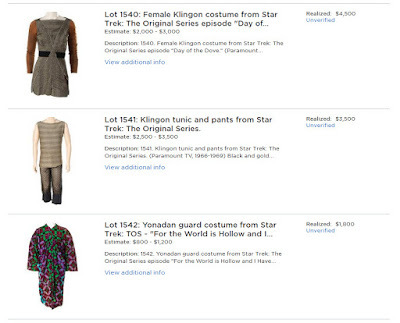 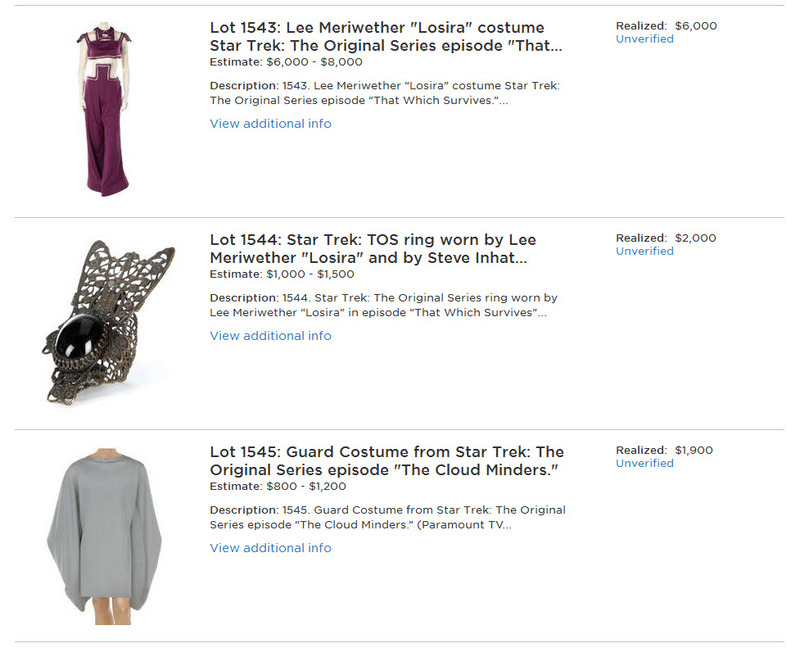 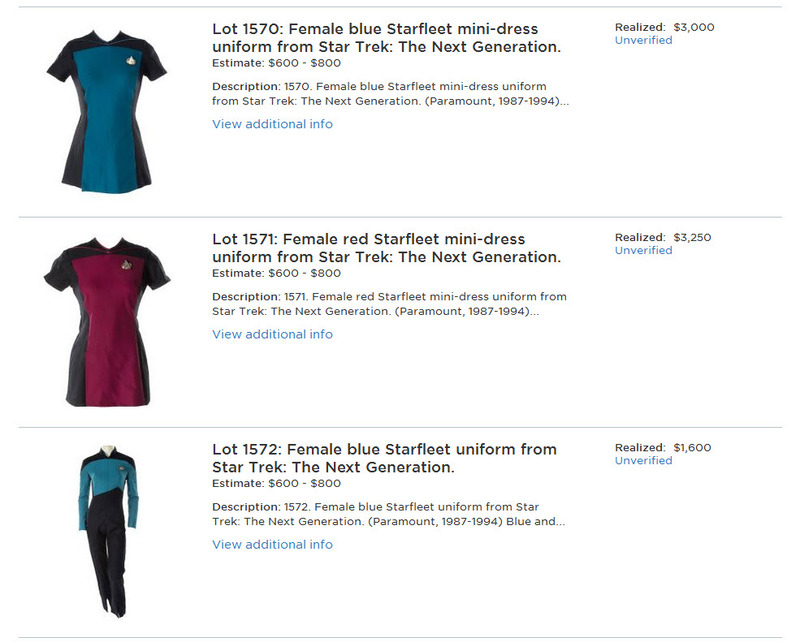 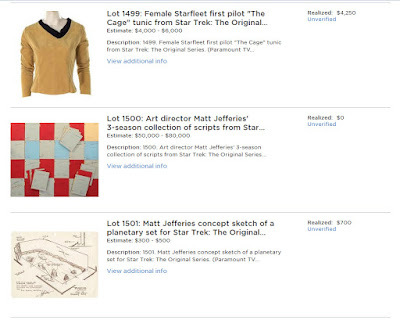 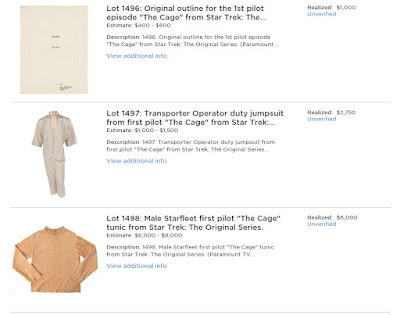 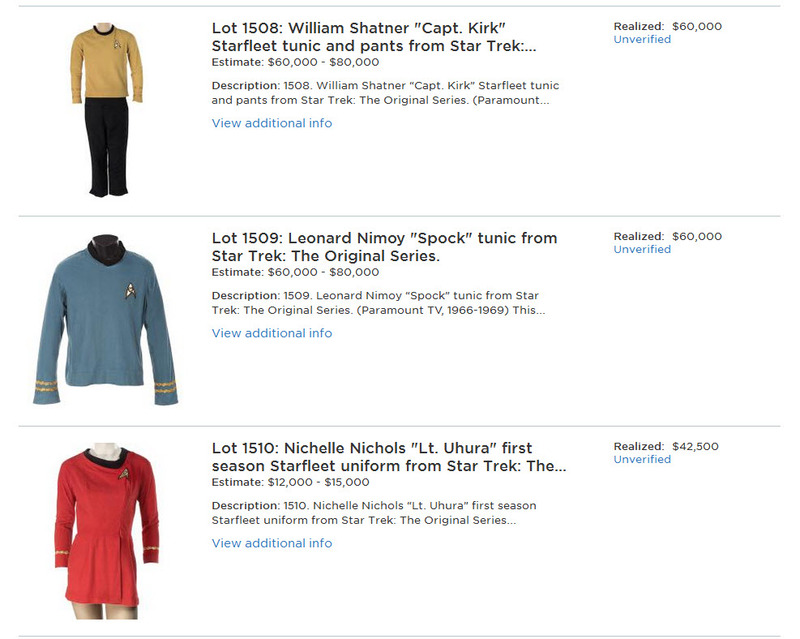 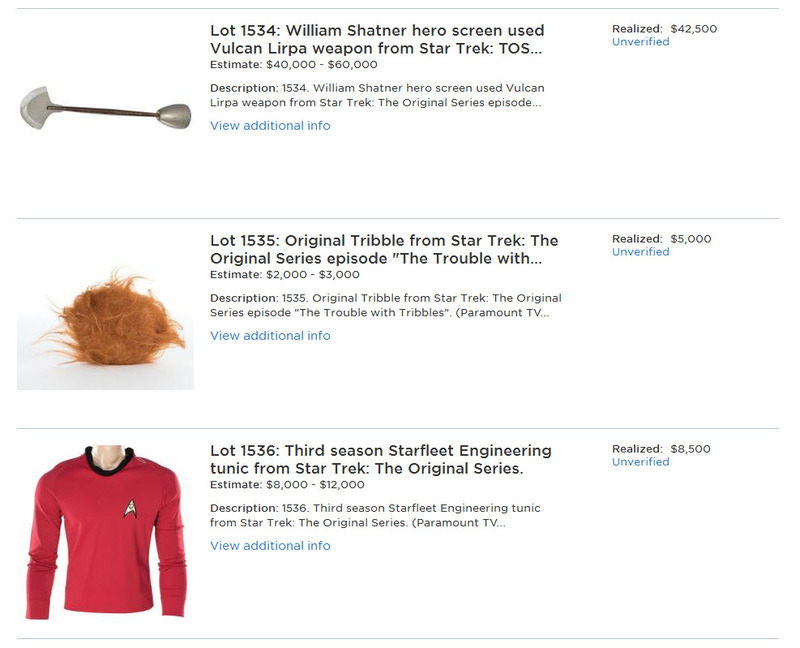 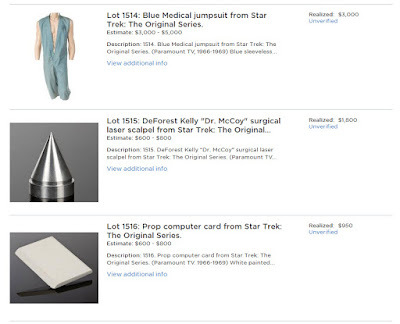 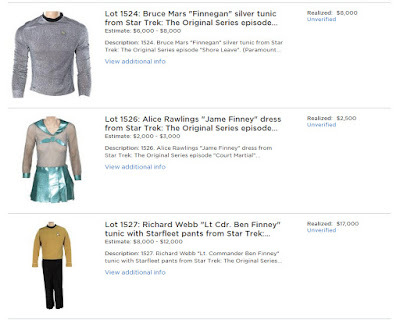 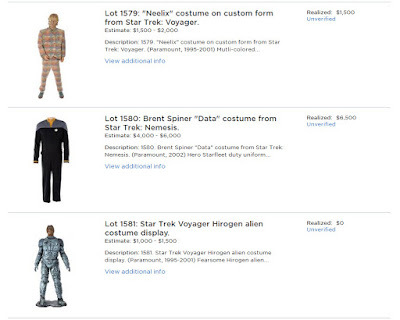 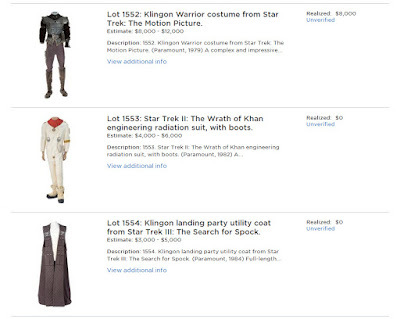 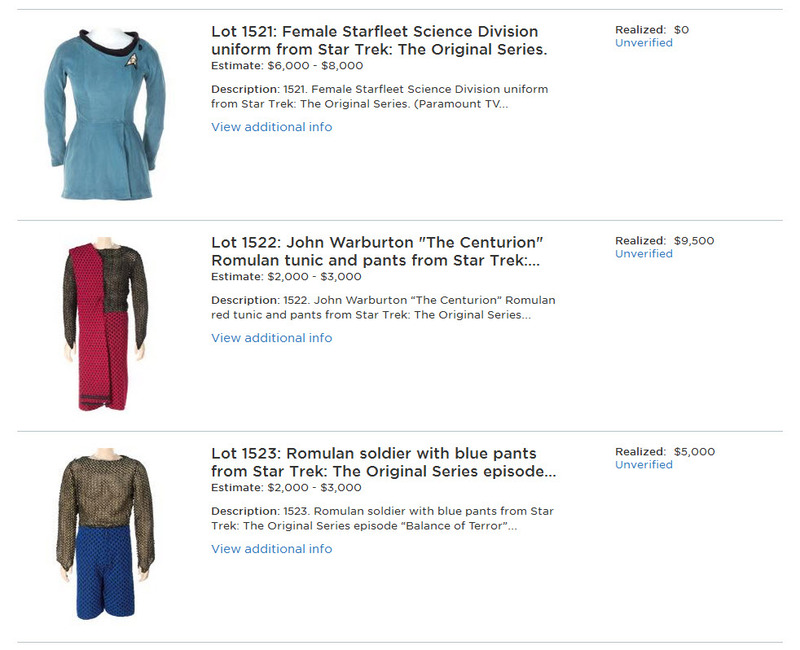 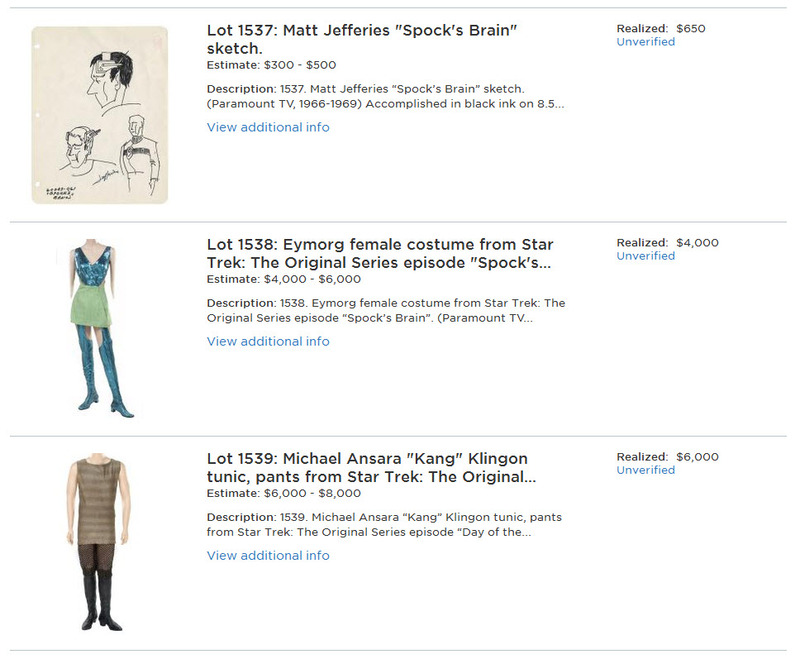 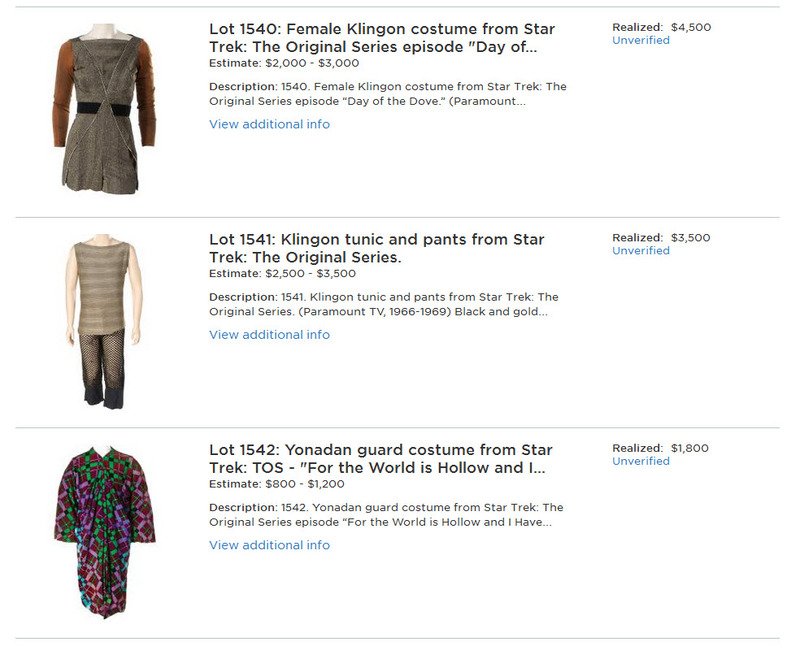 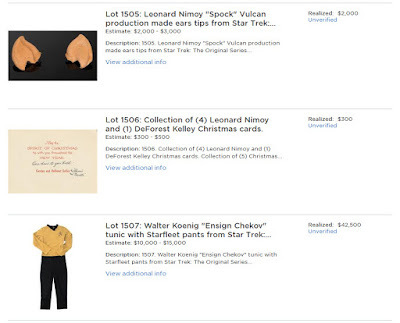 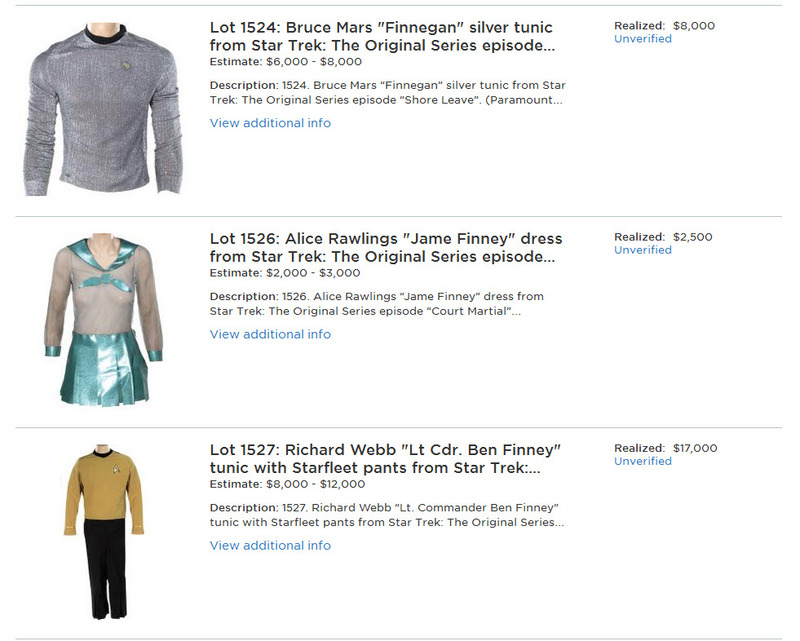 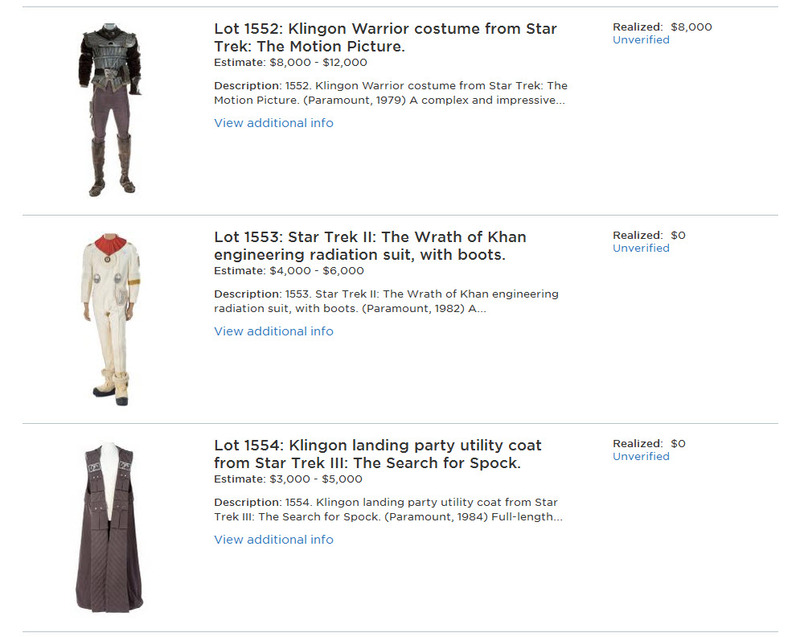 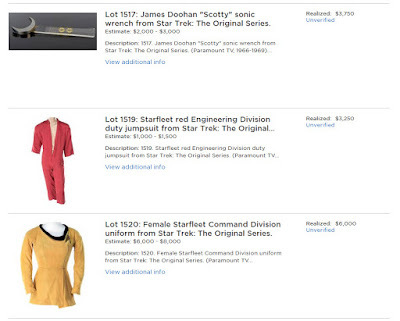 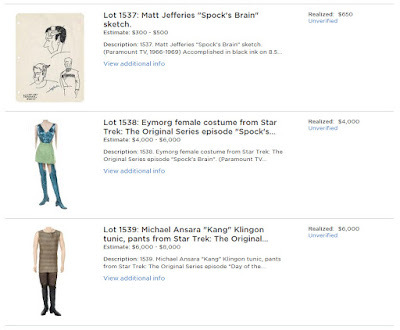 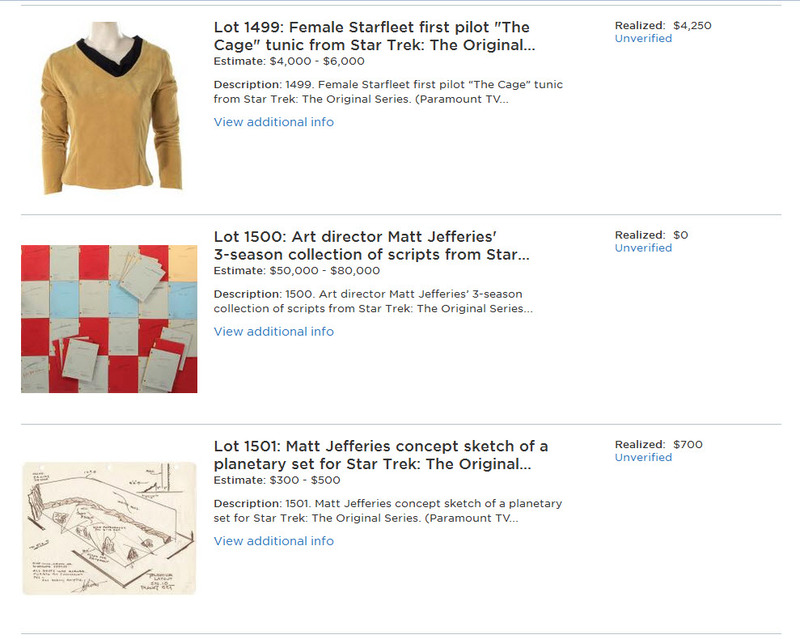 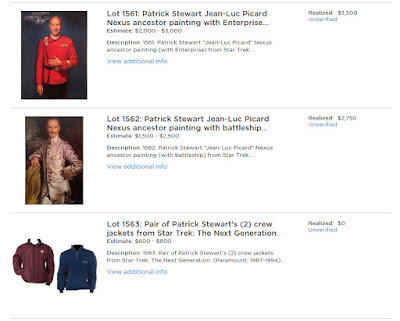 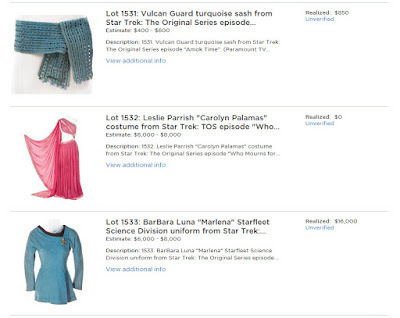 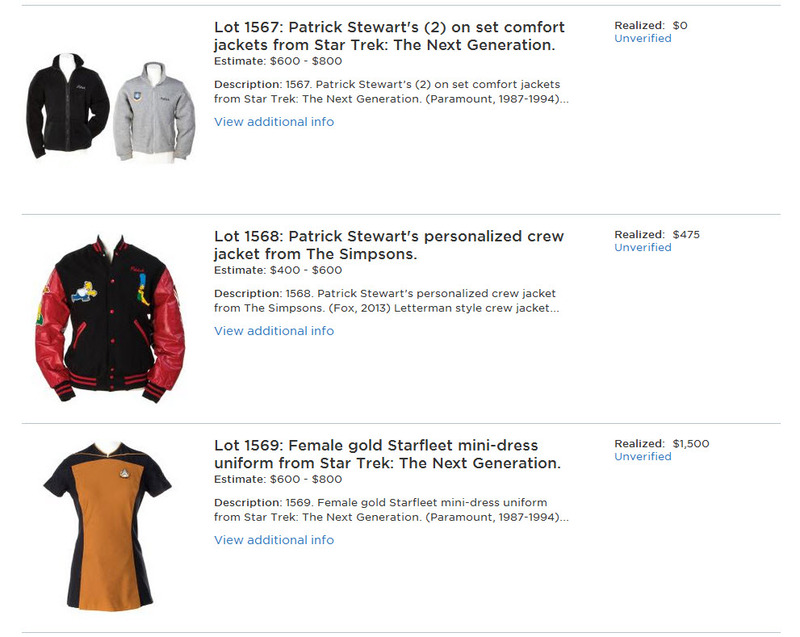 The Original Series recurring cast costumes performed very impressively, with the screen worn Starfleet uniforms/tunics of Chekov, Kirk, Spock, Uhura, Yeoman Rand, and Nurse Chapel selling for high bids of $42,500, $60,000, $60,000, $42,500, $11,000 and $42,500 respectively (not including a maximum 28% buyers premium). The Lt. 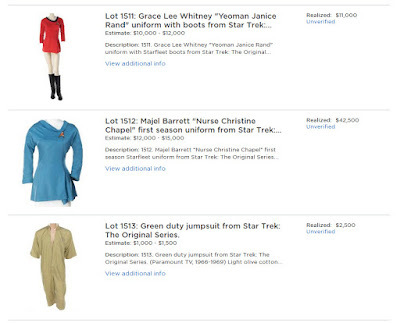 Commander Ben Finney uniform from the 1st season TOS episode "Court Martial" witnessed a high bid of $17,000; Barbara Luna's Marlena Starfleet science division dress from "Mirror, Mirror" sold for $16,000; and the William Shatner hero screen used Vulcan Lirpa weapon from "Amok Time" realized a high bid of $42,500.